Hedge fund managers have always been looking for the informational edge in pursuit of alpha. The proliferation of big data analytics is revolutionizing the way investing used to work. If you want to understand what is going on with a restaurant chain you have an open position in, and you still limit your toolkit by company reports, IR calls and sell side comments, you are behind. Those who look at credit card transactions data, geo-location data, app downloads and other alternative data signals will have an edge to make more accurate and timely investment decisions. Hedge fund allocators started to include questions about data strategy in the standard DDQs. Today’s innovation will be tomorrow’s must-have and now it is time to prepare. Portfolio managers who want to succeed in the industry in the long-term and keep growing AUM, have to understand the alternative data use cases applicable to their strategies, be able to select the right data vendors and technology service providers, optimize data budget and stay on top of the cutting-edge trends and best practices. We invited buyside experts from quantitative investment funds and data vendors to provide a well structured and comprehensive introduction to alternative data capabilities as well as real-life examples of alt data use cases relevant to fundamental portfolio managers across asset classes. Olga is currently Head of Data Sourcing and Strategy at Quantstellation, a multi-strategy, multi-horizon quantitative trading group. In her role Olga is responsible for proactive sourcing of traditional and alternative data sets, building strategic data partnerships and managing full cycle of data acquisition. Olga is a frequent speaker on the topics of alternative data, research automation, quantitative investment process and emerging technology in finance. 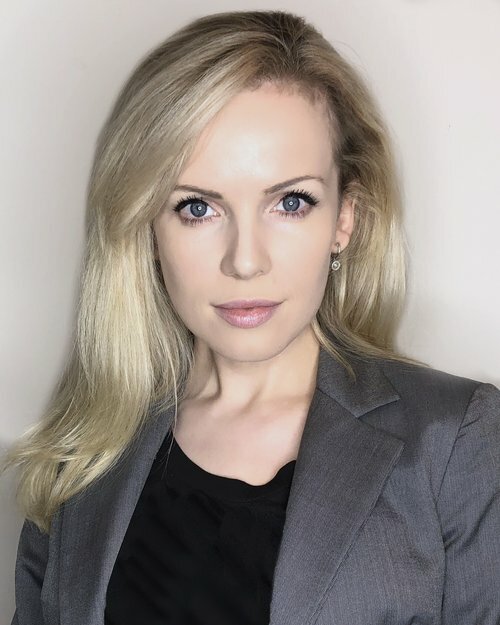 Her speaking appearances include major industry events and media resources: Beryl Elites Emerging Technology Conference, Access and Alpha Conference, Altdata.tv, The Trading Show Chicago, AI and Data in Trading, TradeTech Europe. She was a guest speaker at Practical Big Data graduate course at NYU Stern School of Business and Artificial Intelligence in Finance Institute (AIFI) Certificate Program. Olga is an author of multiple articles and white papers on the topic of alternative data vendor selection, data sets evaluation and pricing. Before joining Quantstellation, Olga spent seven years working in the hedge fund industry in different senior roles that gave her a good understanding of fundamental managers’ perspective as well as hedge fund allocator’s perspective. Olga holds MS degree in finance, MBA degree and CAIA (Chartered Alternative Investment Analyst) designation. Full speaker lineup will be added shortly. Is the seminar for quants only? No. This is an introductory seminar for fundamental discretionary managers. We will discuss on a high level the opportunities alternative data provides to enhance fundamental research process. The seminar will be a good foundation for further education on the topic of big data in investing. Does the seminar require coding skills? No. This program is for investment professionals. Speakers may demonstrate data platform capabilities that involve basic python code, but no coding experience is required to participate in the program. The content is mainly focused on the logic behind alternative data use cases in the fundamental investment process. Do I need a laptop or special software to participate? No equipment is necessary, but you can bring your laptop if you would like to test data platforms discussed by the speakers. Will the seminar cover a specific investment strategy? At the introductory seminar we will discuss use cases relevant to a few different strategies. In general, most of the currently available alternative data sets provide the most use cases for equity strategies. In our upcoming educational events we will emphasize sector specific strategies and relevant alternative data use cases. I won’t be able to attend this time, will you repeat the seminar in the future? Beryl Elites will be organizing regular educational events on the topics of big data and technology in asset management. Please subscribe to receive our updates …[link] and we will notify you about the upcoming events. Does Beryl Elites offer other educational programs for hedge fund managers and investors? © 2019 Beryl Elites. All Rights Reserved.